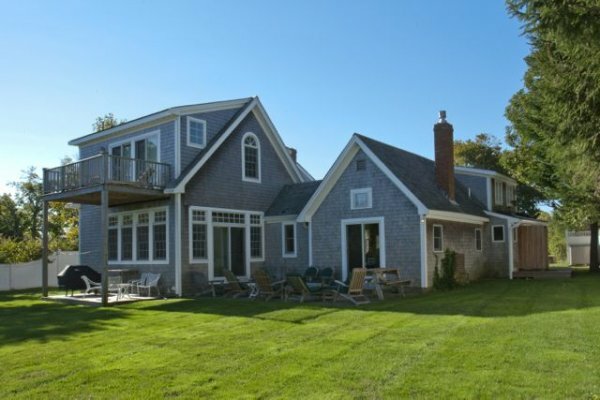 This magnificent waterview home is located in walking distance to everything in the beautiful historic district of Edgartown. There are 3 wonderful large bedrooms, 2 master suites with king beds, one additional bedroom with three singles. The beautiful entrance with french doors leads to a great room. This is a two story room furnished with beautiful antiques and a suede leather sofa and loveseat. The gourmet kitchen is very well equipped. The patio and lawn with adirondack chairs overlooks Sheriff's meadow bird sanctuary. For special getaways visit our own private beach in Chilmark.